At Solar Choice we very commonly get asked about the different types of solar panels and what we recommend. This article attempts to explain the science behind the common panel types and our suggestion on how to make a decision. The solar panels currently use Crystalline Silicon (c-Si) as the primary material to convert sunlight into electricity. The reason that different panels have different Watt outputs for the same number of modules generally comes down to the purity of the silicon that is achieved in their manufacturing process. There are different methods of improving the purity of silicon and the efficiency of the panels, but each of these processes will add cost. Polycrystalline (sometimes called Multicrystalline) leverage silicon crystal composed of many small grains with no rules between the arrangement of the grains within a solar cell. They appear perfectly rectangular with no rounded or squared edges (see image below). 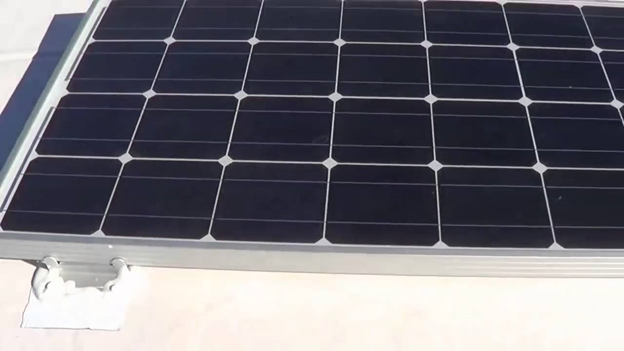 Monocrystalline panels are easy to identify as they typically have a diamond shaped external colouring indicating a high-purity silicon (See image below). These panels utilise single large grains of crystal to create each silicon module. These solar cells are higher efficiency and produce more electricity. Should You Make a Decision on Solar Panels? Now we have covered the science, we need to assess where the solar panels fit into a solar system and how that should affect your decision-making. 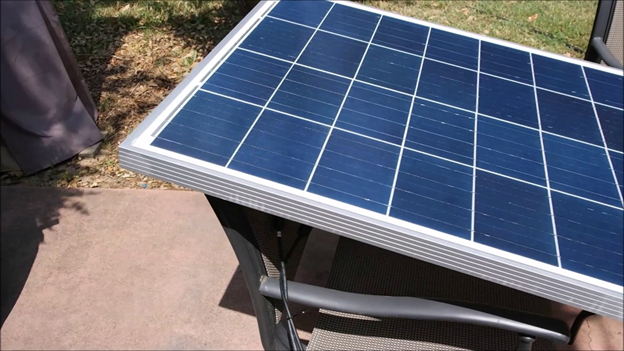 Panels form a part and not the most important part of a Solar PV System. In Australia it is normal to receive an overall quote for a system installation including parts and labour. The quality and fit of your Inverters and Batteries (if you are installing batteries) and the quality of the workmanship of the installer will have a greater impact on the Return on Investment of your project. So choosing a solar installer based solely on the type of panel they provide doesn’t make sense. In this scenario the efficiency of the panels is more important. While high efficiency panels can add cost to a project, if it can help you get closer to the optimal system size, in most cases it will improve the overall Return on Investment. Installers in Australia have their preferred suppliers and panel type, so it may take some encouragement along with sourcing a number of competitive quotes from different installers to ensure you get the best solution for your needs. What You Should Look For? At minimum your panel should provide a 25 year performance warranty and a 10 year manufacturing warranty. This has rapidly become an industry standard and if your panels don’t meet this requirement then you should find a new quote. In terms of brands we recommend that you check they have an Australian office (to claim warranty if required). There are a number of tier 1 solar panel brands which are commonly used in Australia and around the world. Solar Choice has assisted in over 160,000 Solar Projects in Australia and can advise you on whether the quoted panel brand is good quality.